Please note, that these displays can not be joined with joining clips due to the feet. 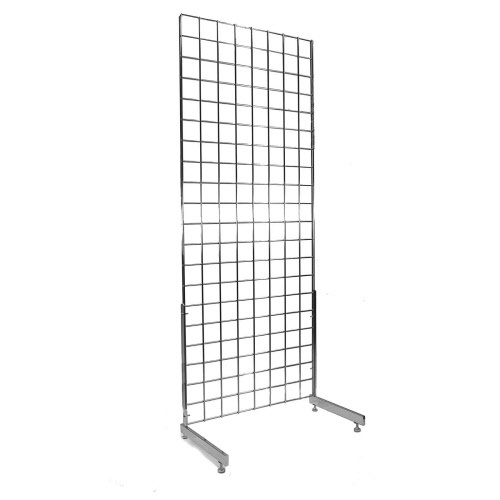 Simple grid panel display consisting of 1 x grid panel (2ft wide) and single sided L feet. L Feet lift the grid up by approxiamately 60mm. Available in Chrome only. Fittings included. Select desired height from the drop down menu: 4,5 and 6 foot high available.